The Chinese love to read. They must also love a good joke. The relatively new five-story, 360,000-square-foot library in Tianjin, China, was designed by the Dutch architectural firm MVRDV to look like a giant eye. It contains 200,000 books. One problem, you can’t can’t tell if the rows and rows of books in the library’s main hall are actually real, or decorated with printed images. It turns out that the main hall is only for walking, sitting, reading, and discussions. It’s not meant for book storage. The real books are in rooms behind the atrium. The new design is attracting people from all over the world. It seems people who love to read also appreciate leading edge architecture. Checkouts reportedly have quadrupled since the opening. An average of 15,000 visitors flock to the library every weekend. We could use some of that enthusiasm for libraries in the United States. If you don’t like the way you look in a photograph, you are not going to like what I am about to tell you. Your face is going to replace your credit card, and perhaps cash, in the next few years. The world is going facial recognition. It’s already started in Hangzhou, China where a local KFC has a facial recognition payment system that lets diners pay with a smile. They may be required to insert their phone numbers as well for double security purposes. When Eliot and I traveled through the Scandinavian countries a few weeks ago, we found out that they are a cashless society. We used credit cards for everything, even a bag of potato chips or gum. I have to say that it was a relief just to use a card for everything rather than dealing with the right amount of paper and coins. We might like the freedom by simply stepping in front of a screen and smiling. The software programs being used today are so accurate that even if there are multiple people in your photo, the facial recognition can pinpoint exactly who you are. The Chinese program being used at the KFC in China is called the Alipay facial recognition payment system. It’s designed by Ant Financial Services Group, an Alibaba Group affiliate. Companies like Samsung, PayPal, MasterCard, Apple and NEC are also testing the technology. You can see how facial recognition works in a CNET story. I am so lucky to be writing DigiDame because it forces me to focus on tech subjects that I think you, my 50-plus crowd, would like to know more about. Sometimes I get stories on the job, contacts, research, and even from industry discussion groups. We all heard of Chinese knockoffs but this is too much. 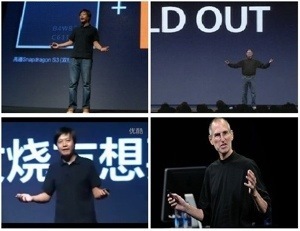 All kidding aside, Lei Jun is nothing to snicker at. His company is selling millions of mobile phones (some say they look just like iPhones) and the Chinese market is counting on him to put that country on the map in the innovation category. 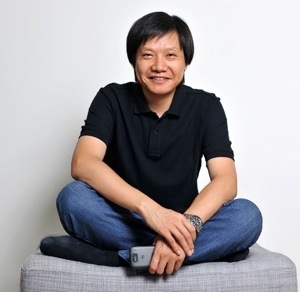 The reason Xiaomi (pronounced SHAO-mee) is being taken so seriously is because it did actually sell $2 billion in handsets last year. The potential is huge. 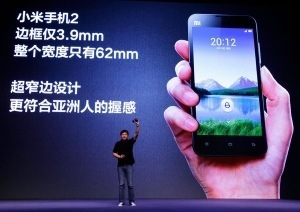 China is the world’s largest mobile phone market. Just like Jobs, Lei is highly regarded as a successful startup expert. He has a software company called Kingsoft that he took public in 2007 and walked away with $300 million. He also invests in other successful software and Internet companies, takes them public, and accumulates more and more wealth. His first success was a biggie, Amazon paid $75 million to acquire his e-commerce company Joyo.com. in 2004. Forbes calls Lei one of China’s wealthiest entrepreneurs, worth $1.7 billion. It’s going to be interesting to see if Lei becomes as popular and beloved as Jobs on a worldwide basis. Can it happen twice in one lifetime?